It often turns out that the simple measures work best. In this case we installed insulation jackets on the district heating system in Charlestown, Finglas, Dublin in 2016. We have v good heat sub metering in this area and as a result we were able to show that the payback from this change a year later was just 4 months. In addition, we applied an SEAI grant of 30% to this reducing the payback to less than 3 months. The expected savings were three times higher than was expected using the normal empirical guide. Insulation remains one of the cheapest & most effective energy saving measures you can take for both commercial & home applications. Email me if you want further details and I will send you a copy of the report. 3. Other technologies and methods of support continue to be under consideration (including biomethane grid injection) for subsequent phases of the scheme. Unfortunately, as you dig into the numbers, the incentives don’t look so good in payback terms. For example, for the bio-mass heating system the support consists of the following prescribed tariffs – 5.66 cents per kilowatt hour of energy produced from biomass heating systems and 2.95 cents per kilowatt hour of energy produced from anaerobic digestion heating systems up to certain tier levels. For biomass, this would work out to about €37,000 per annum of heat subsidy depending on how cheaply you can source the biomass material. But the catch is that a biomass boiler with an automated feed system would set you back at least €150k (& up) making any payback lengthy. It might be possible to install a cheap manually fed boiler and feed it with say a fork lift if you have the labor and a good source of bio mass to hand. The RHI for commercial heat pumps don’t seem to have got off the ground yet. But will certainly worth looking at when they do. Heat pumps are particularly good in some situations such as leisure centers & hotels. There is also a €3,500 grant for home owners. However, again the criteria to get it are onerous with lots of BER assessment & insulation requirements (the former will eat up a lot of the grant even if you can meet the tough insulation requirements). Energy prices have been holding to the high side across the board with a lot of geo-political stuff going on in World oil markets right now with Iran, emergency OPEC meetings, Trump calling Saudi King Salman to increase output, Venezuela collapse and the latest – the election of a leftist Mexican president who intends to meddle in that country’s oil industry (how did that work out in Venezuela with the World’s largest oil reserves and yet the nationalized oil company still manages to lose money). Aside from oil forward UK gas prices are holding stubbornly high with Oct 18 rising back above 58 p/th. As a result fixed gas & electricity contracts for those who want to fix their contracts for the year going forward look v expensive. Irish SMP electricity prices for June where 6.15c/kwh. You can see from the graph below how this compares with the last two year’s – ie considerably higher. The high gas prices and lower wind levels this year are the drivers behind these prices. The one piece of good news (sent out as a special alert) is the proposed reduction in the PSO level from Oct this year. Stay tuned as we are still expecting price volatility to pick up as we head towards the planned I-SEM introduction in Oct. In order to mix things up a bit with the newsletter I posted a video earlier this month on solar power. Please click link to watch. A number of new business opportunities are setting up in the Irish market for clients with large electrical loads in the coming year to offer DS3 services to the grid. Suitable clients be able to bid for six-year contracts providing frequency response and reserve services in September when transmission system operator EirGrid will launch a new procurement process. I will cover more about this either in the newsletter or in video’s as we go forward. We have a very complicated set up for electricity & gas prices this year. On the one hand we were expecting the I-SEM electricity trading market to launch this month and we where holding off on any procurement recommendations until we saw what effects this would have on prices. Now this has been pushed back 6 months with little notice. We also have had a very cold winter which has hammered gas storage supply and as a result pushed gas prices much higher. Gas prices are still not coming down as they stay stubbornly high due to the need to replenish depleted storage. Indeed, May-18 gas reached its highest price since February 2017, hitting 52.2p/th. To add to this we are also seeing higher oil prices due to Middle East political tensions which also tend to pull gas prices higher. In the graph below, you can see average gas prices traded in the UK p/Therm. Prices where v low in 2016 and ‘lowish’ in summer 2017 but have climbed from there. So where do we go from here? Well it needs to be borne in mind that nobody can predict the future with variables like the weather and the middle East involved. To add to this, I-SEM is another unknowable though we have a new launch date now in Oct-18. For those of you who need to buy electricity and gas soon, fixed contracts look v expensive right now. We would not recommend those unless certainty is much more important to you than price. Our preference is to wait out the high prices and wait to see value in the market before looking at fixed contracts. If we see a big dip in prices this summer (a big if) then we would be interested in looking at fixed rates then. ‘Degree days’ – In Ireland are usually set at 15.5C and is the temperature below which buildings need to be heated. The figure below give you a good indication why your heating bills are much higher this year than last. It has been a double whammy for clients this year, higher energy rates and the need for more heating. The remarkable fall of coal. From late evening on the 5th April, the UK saw its second ever 24-hour period without any coal-fired power being produced since coal-fired generation started in the 1880s. The UK has had an energy revolution in just 5 years. Coal is down from 42% to 7%. Renewables are up to 23% from 10%. Non-fossil fuel generation up to 47% from 30%. A switch to Gas is the main driver behind the fall of coal but wind power/solar have also made a huge difference. Total electricity consumption is also down due to improved energy efficiency of which LED’s have been a major contributor. I am sure many of the readers of the newsletter are old enough to remember the famous miners strikes in the UK when Prime Minister Margaret Thatcher defeated the unions led by Arthur Scargill. It was a defining moment in British industrial relations, and its defeat significantly weakened the trade union movement. The strike kicked off when the government announced on 6 March 1984 its intention to close 20 coal mines, revealing a longer term plan to close over 70 pits. Scargill claimed that the government had a long-term strategy to destroy the industry by closing unprofitable pits, and that it listed pits it wanted to close each year. This was denied by the government at the time, although papers released in 2014 under the thirty-year rule suggest that Scargill was right. 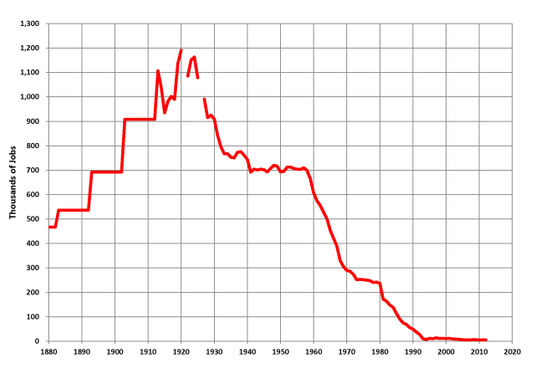 From the graph below you can see that at one stage 1.2m people where employed mining coal in the UK. Saudi Arabia backed by the Softbank group announced that it was going to build a new solar farm of 200GW size that would be more than 100 times bigger than any existing solar farm. To put this in perspective, this would have the output at about 36 times average daytime Irish electricity load. 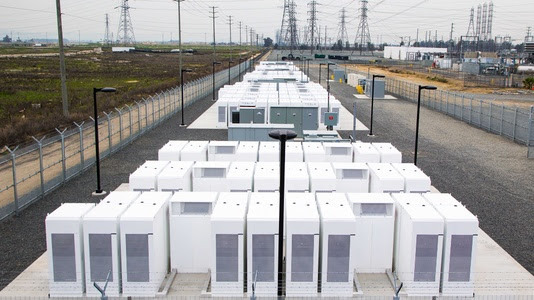 It may be one step closer to building a Supergrid to get around one of the main problems with renewables – intermittency of supply. I will produce a video on the Supergrid soon to explain more. Are big companies like Google and Apple really on 100% renewable energy. You may have seen announcements from big companies such as Google and Apple that they now run on 100% renewable energy. Is this accurate? Well not really. They still run on the same electricity supply as the rest of us but they rely on what is called Power Purchase Agreements, or PPAs in order to make this claim. This allows them to say they are buying 100% renewable energy by matching their electricity consumption with renewable energy purchases through PPAs. But there is obviously a difference between being powered by renewable energy sources — which would essentially require onsite generation wherein renewable electricity generated from a project is actively directed through a separate connection point to the source — and matching electricity consumption with renewable energy PPAs. Nevertheless, it is a positive development. For example, Google’s PPAs have already led to over $3 billion in new renewable capital investment around the world. The next stage now is that some renewable energy companies will start to offer PPA’s to smaller companies than the tech giants. Vattenfall in the UK for example has started offering Onshore Wind PPAs To British Businesses From As Low As 1 Megawatt. Oil prices have been acting strongly due to a combination of Geo political risks (Venezuela, Iran, Syria etc) and the OPEC cuts finally getting traction. The cold weather everywhere also pushed energy demand higher around the globe. The avg SMP price in April was 5.7 c/kWh thankfully down from the v high March figure of 7.06 c/kWh. See green 2018 line in graph below. You can see how prices where v low historically in 2016 but right now SMP has climbed back into the middle of its range. Hopefully, we will see better temperatures soon so gas prices can ease back and pull the electricity price with it. As I write its v cold outside (by Irish standards) and in this edition of the newsletter, I want to look at the reason why and also the effect on Irish energy prices. This has been a colder than normal winter and not just in Ireland. My brother lives in Boston and he has seen some huge snowfalls this winter. It even snowed in Tallahassee, Florida, for the first time in 28 years. A temperature of −26 °C took place in Omaha, Nebraska on Dec 30, 2017 that was lower than the previous record set in 1884. At the winter Olympics in Korea it has been the coldest winter in 40 years. To help get a practical measure of how colder it has been this year, heating engineers tend to use a measure called – ‘Degree days’. In Ireland this is usually set at 15.5C and is the temperature below which buildings need to be heated. According to Met Eireann figures for Dublin airport, Dec 2017 had 317 degree days vs 272 in 2016 and 213 in Dec 2015. The numbers for Jan 18 where 316 vs 304 (2017) and 303 (2016). Feb numbers are not out yet but they should also show a big difference. Most winters super cold air is normally locked up in the Arctic in the polar vortex, which is a gigantic circular weather pattern around the North Pole. A strong polar vortex keeps that cold air hemmed in. 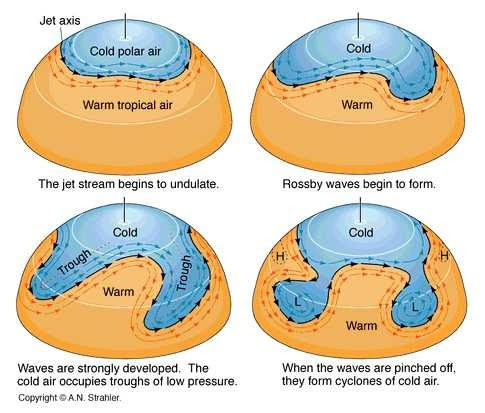 But some years this vortex weakens like a dam burst effect and the cold air heads south like that indicated in the diagram below (referred to as Rossby waves by meteorologists). Usually the jet stream marks the boundary between the cold polar air to the north and warmer air to south and sometimes you will hear reference in the media to the jet stream moving south. How can it be so cold if global warming is underway? Arctic air is still bitterly cold, so atmospheric changes that allow that air to drop south will continue to lead to such sharp temperature drops. And don’t confuse weather — which occurs over a few days or weeks at a regional level — with climate, which spans over decades with many complex inputs. Historically, long cold spells are not unusual. If you look back at Irish history, there have been many periods of cold weather often with catastrophic effects. Before the Potato famine (1845-1852), there were many famine periods in Ireland caused by prolonged cold weather. The Irish Famine of 1740–1741 (Irish: Bliain an Áir, meaning the Year of Slaughter) was estimated to have killed at least 38% of the 1740 population of 2.4 million people, a proportionately greater loss than during the worst years of the Potato Famine. The cold and its effects extended across Europe, but mortality was higher in Ireland because both grain and potatoes failed. Last Friday we did see a spike of UK gas prices to 71 pence/therm which was the highest level in four years. However, prices started easing on Monday as gas supplies are still plentiful in Europe. Confidence in supply is still strong and once we get past this cold snap, we are expecting prices to ease. We also saw a pick up in electricity prices near the end of the month in line with the gas price (to date data is only available to 22nd Feb). On a positive note it has been a v windy start to the year and as a result, SMP prices are a little lower this year than over the same period last year (Jan, Feb). 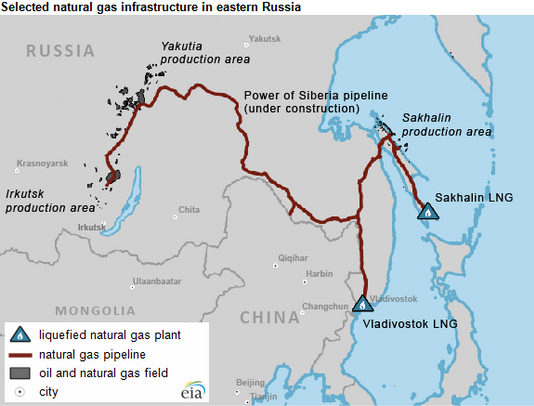 In an interesting geopolitical development, work has begun on the planned ‘Power of Siberia’ pipeline which will allow Russia to sell previously stranded gas reserves to China and also move them to an LNG plant on Russia’s east coast. The 3,968 km pipeline will be the largest fuel network in the world. Longer term the Russians will then be able to connect up the pipeline with Europe also and chose to sell their gas either to Europe or to the East. 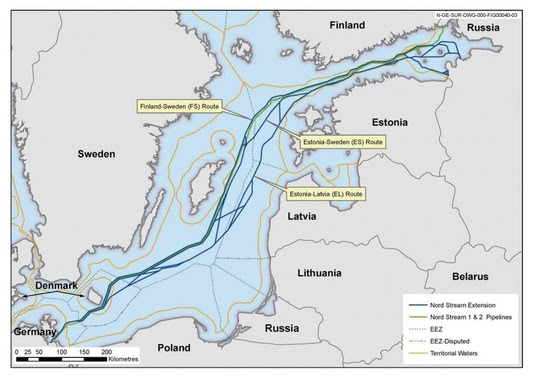 Another massive pipeline – Nordstream 2 is also under construction between Europe and Russia. Currently, over almost 40 percent of the gas consumed in the EU originates from Russia, making Moscow the biggest supplier, followed closely by Norway and Algeria (though no Russian gas comes to Ireland). There are political critics of the project arguing that the deal will give Moscow unwanted influence. Oil prices have been pulling back lately (by about 10% from Jan highs) as US oil output continues to expand. The SMP price in Feb (to the 24th) was 5.7 c/kWh a decrease from the Jan price of 5.36 c/kWh due to the reasons given above. There have been developments in this area since we last wrote about it mainly around capacity auction levels. 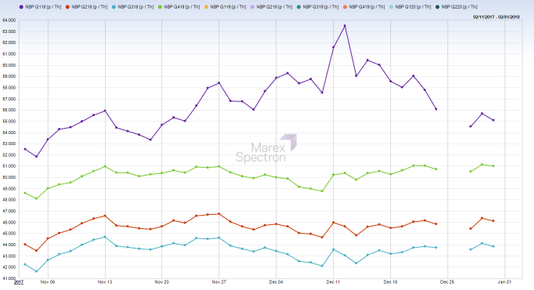 Wind penetration continues to hurt thermal plant margins and I-SEM auction levels reflect this. Its very technical stuff though and I suspect most readers of the newsletter are more interested in the bottom line – such the direct effect on electricity prices. Its too early to tell since I-SEM has not kicked off yet. As we get a clearer picture on what is likely happen to prices, I will update you. I would encourage you to get expert advice before you make any decision about your contracts for the year going forward. (By expert I don’t mean the clueless call center people who call around offering to buy electricity & gas for people).